princess leia gets priority seating on the train. 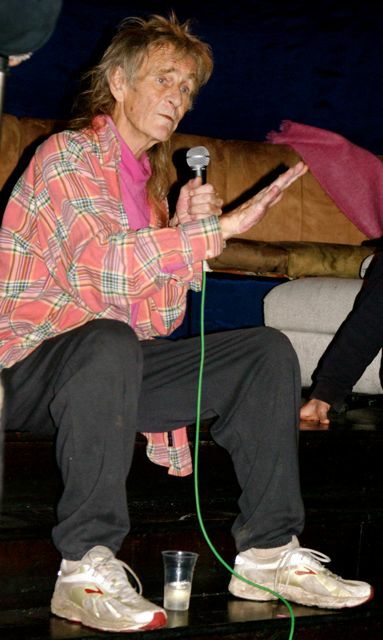 this is a photo of me outside a massage parlour in shoreditch in jun 08.
sometimes its hard 2 put my life in2 words which is why i wanted 2 attempt here 2 put it in2 pictures. “magic” 4 me is an easy word 2 summarise the daily insights, interactions & serendipities which cause me 2 feel that life is an inherently joyous & wondrous experience. its the odd moments, the tiny incidences which form the fabric of our days that make me believe life is a gift handed 2 us by a loving & beneficent creator. i cant make my life make sense easily with words. as i go from hiphop 2 housework via tahini & tattoos, the worlds i travel thru seem disconnected, randomly thrust 2gether in a sequence which defies logic. but of course flying lotus & fo ti root, red mutha & reishi tea, do all have a connecting thread, & that is my love 4 them all. we R the slash slash slash generation. not happy with labels, we usually need at least 3 (eg writer/mother/dancer). we can & we do do everything we believe we can. maybe my slashes R more random than most. but that doesnt make them any less real or less heartfelt. my pictures R a testament 2 this blessing we call humanity. they R a celebration of the diversity of a life lived outside the box. i share them in the hope that they serve as an affirmation 4 us all that the good life is found in friends, family, food & music. 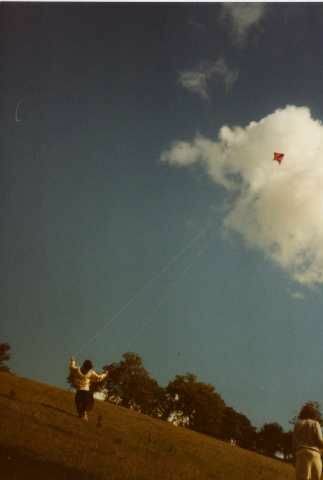 all we need is a heart that bursts with love & a mind that trusts fully in the magic & infinity is ours. heres the list of people ive interviewed 4 mi 88 book. i’ve finished now unless someone really special comes along. last thursday, we held a party 4 fraser clark, bcos the doctors have told him he hasnt long 2 live. ostensibly, it was 2 raise money 4 palliative care, but it was as much a demonstration of affection 4 a man who influenced a lot of us in very positive ways. i dont no how much money the event raised, but i do no it raised a huge amount of love. 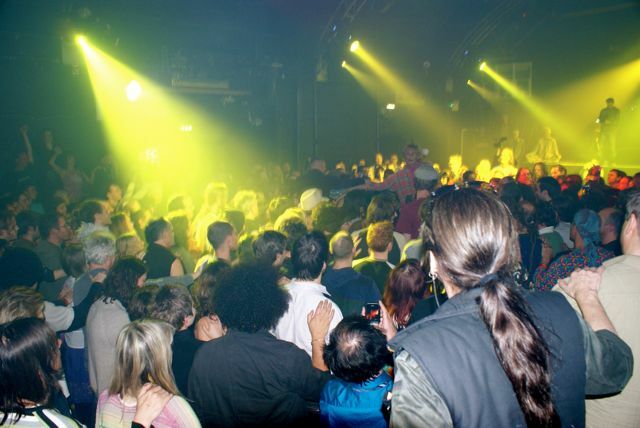 the *miracle on the dancefloor* truly felt like that – 2 have hundreds of people sending healing 2 fraser & really believing it, really feeling it, in as special a venue as heaven in central london, was an amazing thing 2 b part of. we healed more than just fraser that night. i first met fraser in 1989. along with his good friend james, they helped me contextualise the experiences i was having as a teenager. until 1988, i had been a very nihilistic teenager, & as i began 2 wake up 2 a different vision of what mi life cld b, at times it was mindblowing. i believed all this stuff in mi heart – abt love & harmony, abt positivity & magic, abt creating a better world & entering a new age – but at times i thought i must b mad when i tried 2 articulate it 2 people around me. fraser & james helped confirm 4 me that mi insights were relevant, & led me 2 discover other great thinkers who helped formulate mi thoughts – mckenna, leary, ram dass & many more. Starting at 10pm and finishing at 6am. 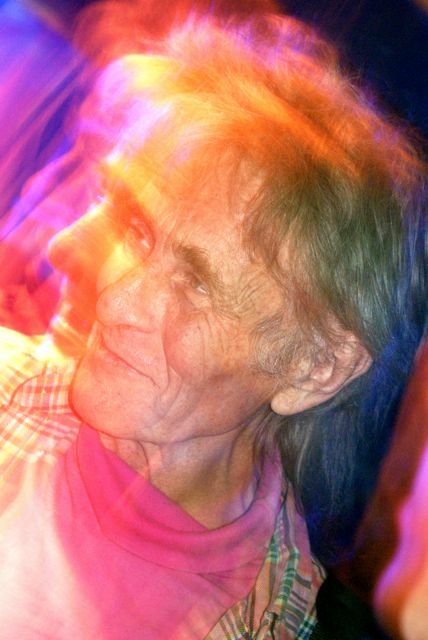 Dubbed the Timothy Leary of the e-generation, founding Zippie and grandfather of Luminopolis, Fraser Clark, has recently been diagnosed with inoperable liver cancer and his time within this reality zone is possibly drawing to a close. A special one-off Megatripolis event will be held as a fundraiser for his specialist medical care. 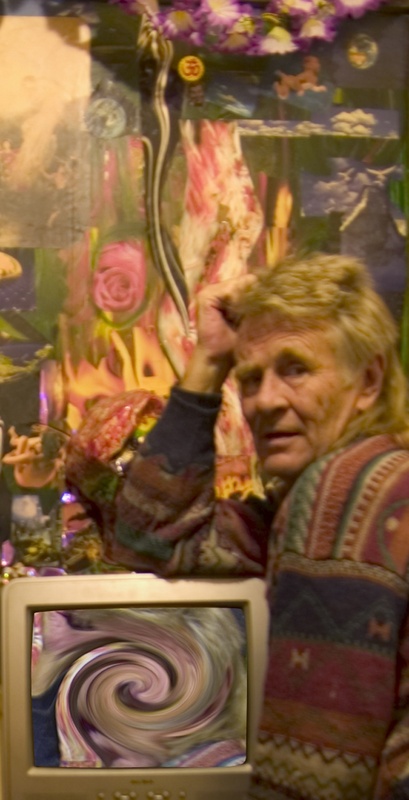 In the late 1980’s Fraser the creator and editor of the Encyclopaedia Psychedelica, (EPi) a London based magazine, which achieved international recognition & wherein he developed the concept and coined the phrase Zippie, with the idea of saving the planet, encouraging a consciousness craze and to embrace technology. 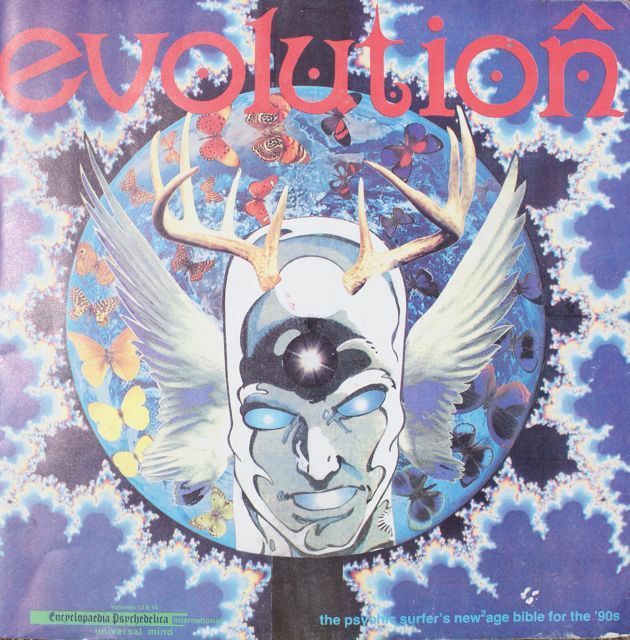 Evolution followed in 1990 and was the flagship magazine of the rave culture and gained wide recognition both here in the Uk and America, thus paving the way for his next move into dance culture. 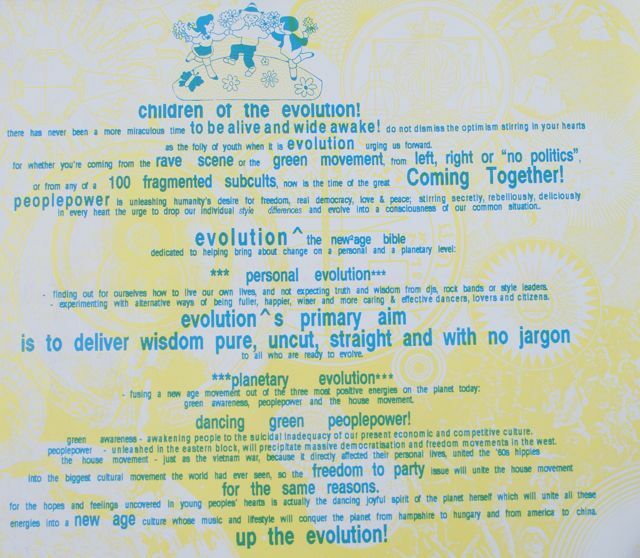 Megatripolis was founded in 1993 and was one of the first people to recognise the synergy arising from combining New Age ideology with Rave culture. 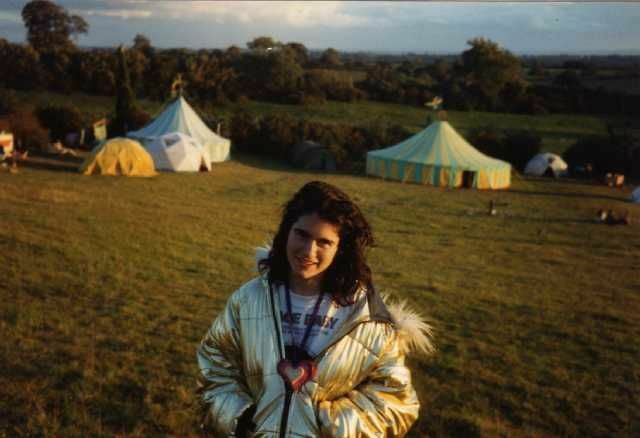 Creating the first UK in-door festival where people were exposed to cross-cultural ideas and experiences. 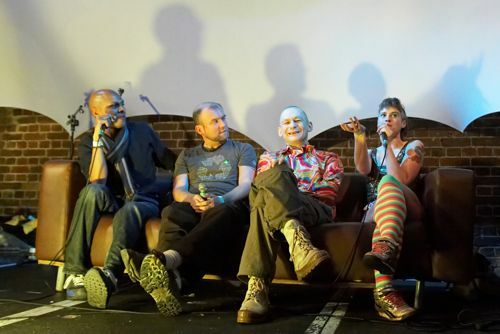 Megatripolis was a pioneer of the “Parallel University”, the concept of offering live talks by philosophers, scientists and activists (along with supporting literature) to club-goers. 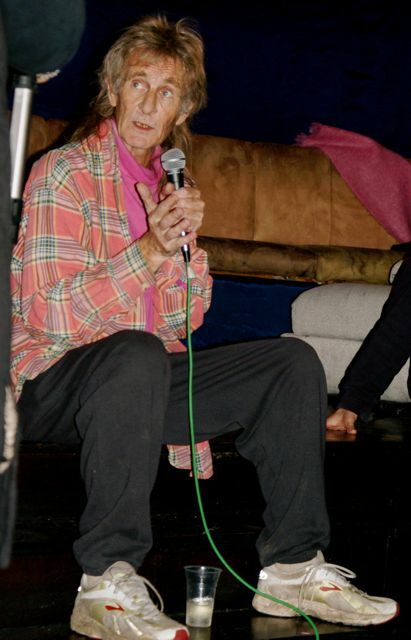 Visits from speakers such as Allen Ginsberg, Terence McKenna, George Monbiot, Howard Marks and Ram Dass were common. Megatripolis spawned a thousand imitators and is perhaps Fraser Clarks most enduring legacy. 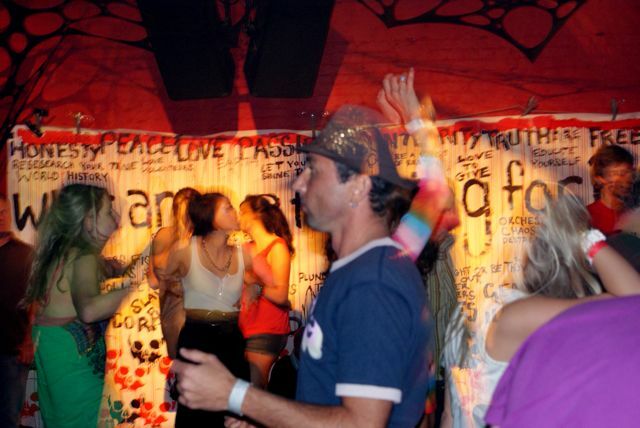 In the late 1990’s, Fraser teamed up with the genius alternative theatre writer / actor / director Ken Campbell to create The Warp Experience, 24 hour stage play by Niel Oram, within a 24 hour trance party. 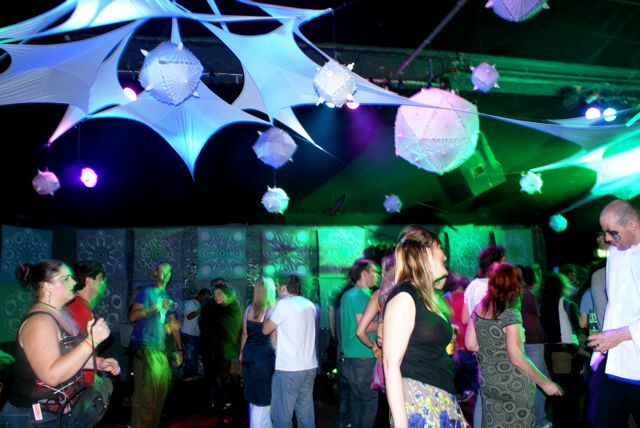 The Warp Experience was based at The Drome – the cavernous tunnels under London Bridge Station now known as seOne. After it finished, a number of the production crew went on to create The Synergy Project – now known as Luminopolis. 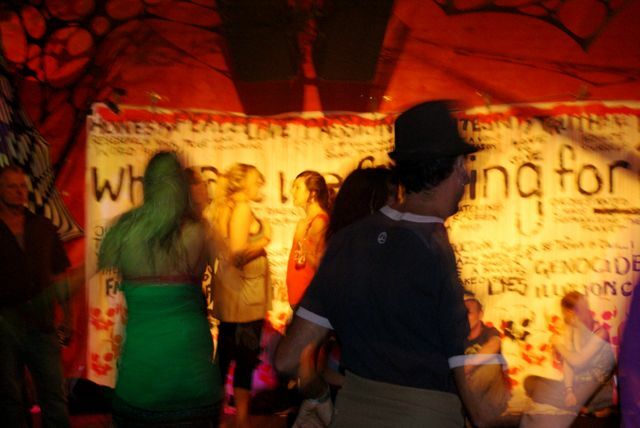 The main room . . . .
DJ‘s playing Shamanic + Mega –T classics only. 1:00 – 1:30 A miracle on the dance floor? Everyone who wishes will gather on the main Heaven dance floor to Love bomb the man who started it all. 5.30 – 6.30 All the above DJ’s will play 1 record each in rotation. 2nd room . . . .
3rd room . . . .
A Celebration & investigation of the life, work and ideas of Fraser Clark, a giant of the Counter Culture and Shamanarchic Rave Scene. We will talk, discuss, network, meditate, pray, and even dare to be silent. Is Fraser now being proved right in predicting (and advocating) the extinction of Dinosaur culture? Did the old hippy/raver/tribal elder get it right?! 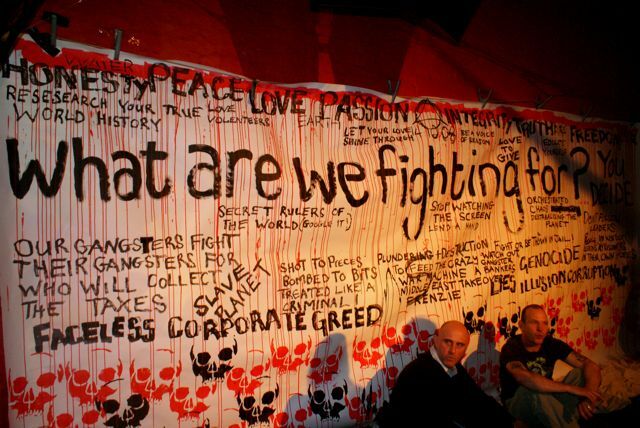 As Western Capitalism flounders, will the New Shamanarchic Paradigm come to the fore and a more loving, harmonious, inner-travelling and non-competitive world come into being in our lifetime? How exactly will this scenario play out? 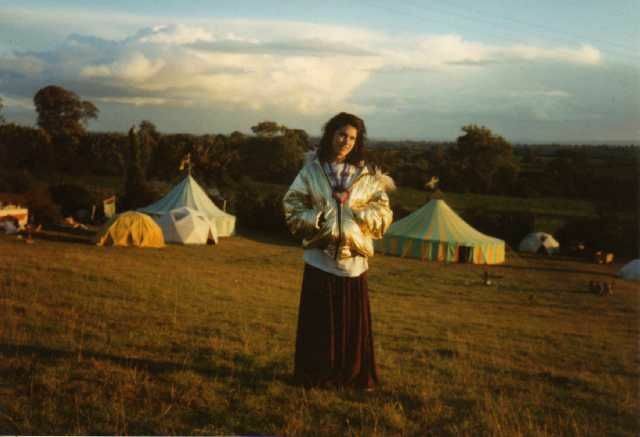 MEGATRIPOLIS FOREVER BOOK: Kate Magic will talk about her forthcoming book 1988: The Untold Story of a Revolution, focusing on her chapter on Fraser and his concepts etc. Megatrip Forever Meditation & Prayer: Spiritual groups will be onstage to pray for Fraser’s health and vitality to be restored. Megatrip Forever Theatre: Performances from both Neil Oram‘s The WARP play, and Fraser’s own coming MEGATRIPOLIS@FOREVER RAVE HOPERA. Megatrip Forever Poetry: Poets will recite poems related to Fraser’s life, work and person. Megatrip Forever Film: A shamanic theme in our surprise film première. Expect to go on a journey. Megatripolis Forever Connections: All night we’ll be meeting, RE-CONNECTING, networking, and, dare I say it, loving each other.